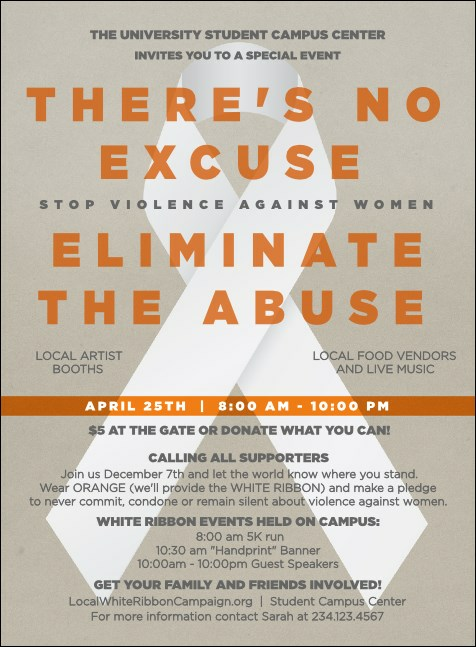 Start off your next awareness event on a good note with the White Ribbon Invitation. This classic design features a beautiful white ribbon on a soft grey background, with 24 lines of text for all of your event information. Make a strong statement for your campaign with a Matching Event Kit.